Inside the shelter underneath the playground in Downs Junior School in Brighton. Last week I spent a day working with 32 more able 11-year old writers from schools in Brighton. This was organised by my friend Dawn Daniel with Clare Blencowe at Downs School. The day was themed around contrasts, and I worked with them on poetry in the morning session. The warm ups were about locating words in unusual places, such as wrappers for chocolate bars, and finding words to describe a table of assorted smelly things and a series of boxes, filled with cold jelly and cold spaghetti, into which they inserted their hands through a hole in the side. Activities useful in getting the children to think of using all their senses when they are writing. 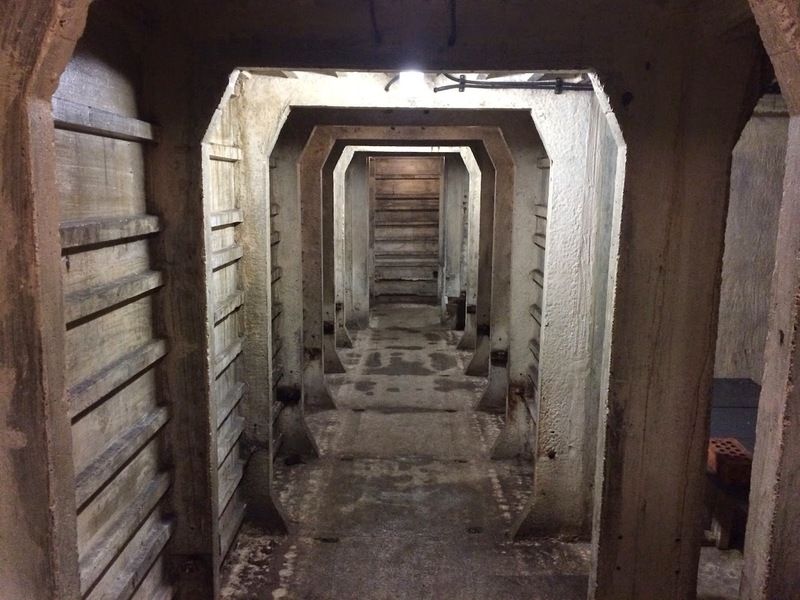 Then we were taken down into the labyrinthine reinforced concrete WW2 bunker that’s underneath the playground, and the children listened to sound effects of a bombing raid. Dawn and Clare explained that during the war children were sometimes kept down there for hours on end. We asked the children to imagine what this could have been like, and to contrast this with how it made them feel about the normal day they had left behind. The children shared some amazing vocabulary and ideas afterwards. One boy described the shelters as catacomb, for example. In the afternoon we talked to them about advertising, asking them to meet a creative brief and to pitch us the idea saying what would be on screen and what would be heard and written. At the end I showed them an old TV ad I had made which answered that brief. I was struck by their instinctive understanding of how and advert should work. I also talked about how poetry is open to different interpretations and it makes you think about the world, while an advert is there to grab your attention then funnel it down on the product. For me being among school children, and seeing some of their natural creativity is humbling. 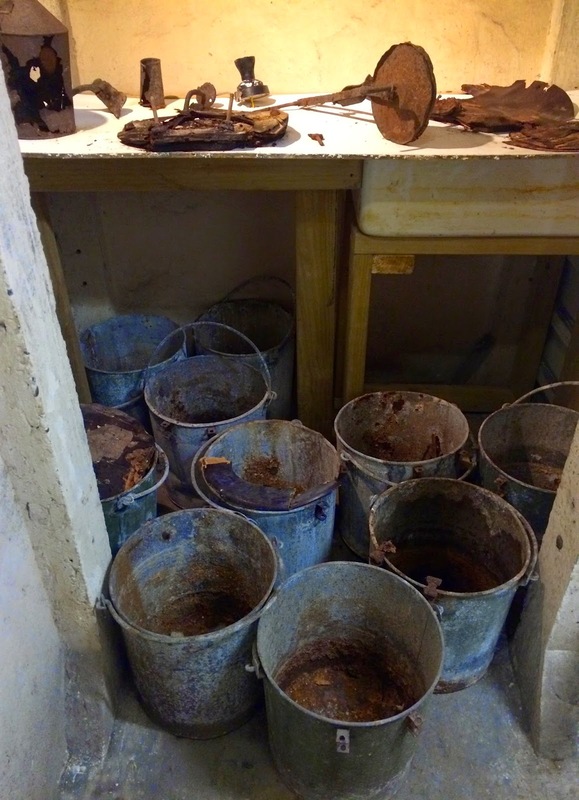 The rusty remains of buckets used as toilets in the school shelter. This entry was posted in Advertising, Education, Poetry and tagged Among School Children, Clare Blencowe, Dawn Daniel, Downs Junior School, W.B. Yeats, WW2 shelters. Bookmark the permalink.